The concept of houses has changed beyond recognition in the 21st century. 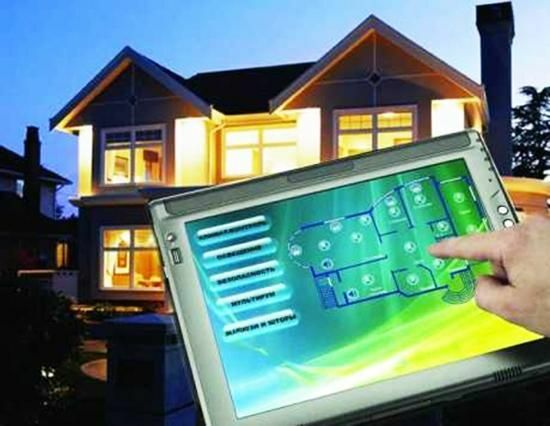 Now, a house doesn’t only consist of four walls and a roof; it has become a smart house, where different gadgets help residents of the house complete household jobs with ease. In 1923, a renowned Swiss architect named Le Corbusier described the house as a “machine for living in.” With the passage of time in middle of 20th century, this thought turned into a reality. People were relieved of the drudgery of household jobs with the availability of electricity and gadgets to help. More and more people started using washing machines, dishwashers, and vacuum cleaners in their homes. With the invention of transistors in the later part of 20th century, electronic gadgets became an important part of the household. The devices controlled themselves in a limited way using the inbuilt sensors and programs. In the 21st century, smart chips in household gadgets has made them much smarter, as they can now be controlled remotely. 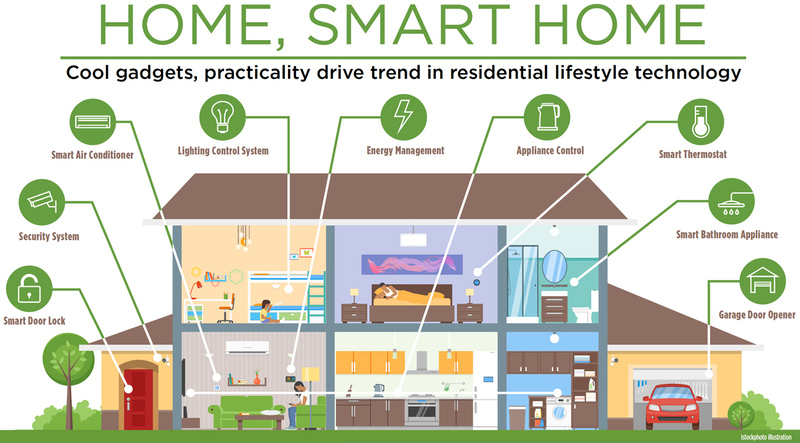 The internet—and mobile internet use in homes—has made the shift to smarter houses. 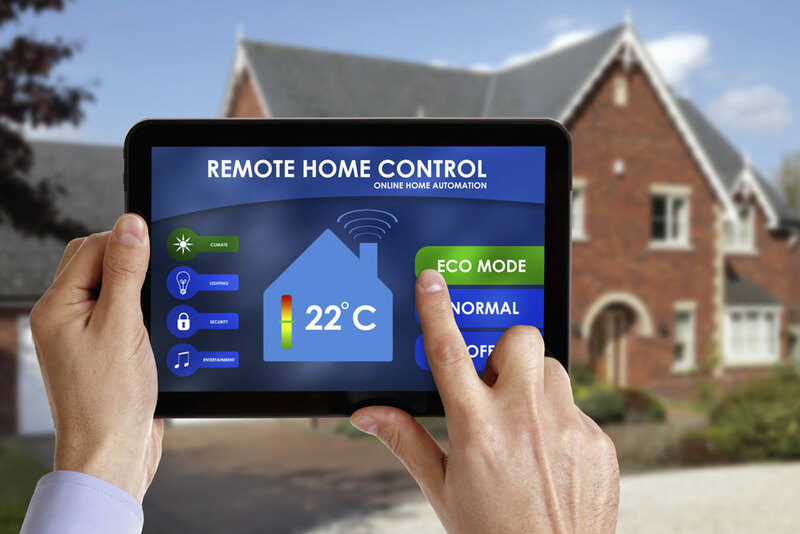 Now, more and more houses are using automated gadgets. Household devices that rely on internet control are being launched daily. Smart houses filled with connected products are loaded with possibilities to make our lives easier, convenient, and more comfortable. Take this example: When you are driving home on a hot summer day, rather than feel uncomfortable at home, and wait for your house to cool down, you can switch on the air conditioner and adjust the your home’s temperature from your smart phone. Next, imagine this: You’re cooking dinner and you ask your voice assistant on Amazon Echo to read the main news and interesting stories for you while you focus on chopping vegetables. There is no shortage of possibilities for smart home devices, and home automation seems to be the flavor of the future. Researchers have estimated that there is going to be tremendous growth in the shipment of smart home appliances. This include all smart appliances (washers, dryers, refrigerators etc. ), along with smart home safety and security devices and security systems (sensors, monitors, cameras, burglar alarm systems, and smart home energy saving equipment, like thermostats and smart lighting). The smart home devices provide many benefits: convenience to the user, as he can perform other tasks and let the devices do their jobs independently. Beyond convenience, devices help in reducing cost and conserving energy. Imagine how LED bulbs reduce energy consumption in relation to old electric bulbs. Moreover, LED bulbs have a longer lifespan and recently, with cost reduction, are more affordable. Smart bulbs can change color as necessary and wireless dimming kits help to provide white light needs. Smart Lock provides security for homes and works with Siri through Apple Homekit. Little Gecko Technology Consulting handles technology installation and upkeep of all types of installations in your home to keep it running as efficiently as possible. We also provide consultancy for installation and upkeep of machines in large office and business, such as stores and restaurants that require excellent audio and visual equipment for great customer experiences. We have the ability to innovate, along with years of experience in providing solutions to your needs. We also provide Failover Internet Solution to restaurants, as well as cabling solutions to connect all your computers to share printers, scanners, and internet access with amazing speed and reliability, which is useful in homes and business offices. We also offer restaurant contractors assistance in opening restaurants in Boston, and we provide complete restaurant solutions in the fields of Micros POS system training for food and beverage operations in restaurants. We design and install audio equipment with the size and shape of space in mind for best quality sound output and listening results.